This group is open to all members, but is focused on connecting athletes who run 10 minutes per mile or slower (including those who run/walk), bike an average 16 mph or below on flats (including those who struggle with hill climbing or are intimidated by group rides), and swim at a pace of greater than 1 minute per 50 yards. Help us build our community by volunteering to lead a ride or run or even coordinate a social event! Looking for a training buddy? 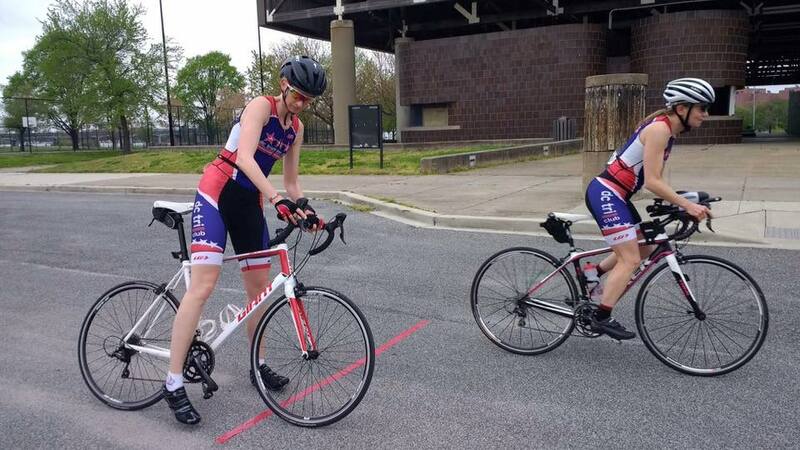 Visit our Facebook page to connect with other members in this pace group, or post a message on the DC Tri Club Mod2Slow Forum. We want to create an environment where more people feel comfortable in attending group trainings. In order to make group training more accessible to slow to moderate paced athletes we are looking for a volunteers to coordinate one time rides or runs. The responsibility of the lead will include selecting the route, organizing the group meet up, providing the necessary information about the specific ride/run route, arranging a sweeper, and, of course, creating a group training atmosphere. If you’re interested in coordinating an event or just want more information, then please contact Joyce Jones at community@dctriclub.org. 228 queries in 2.650 seconds.